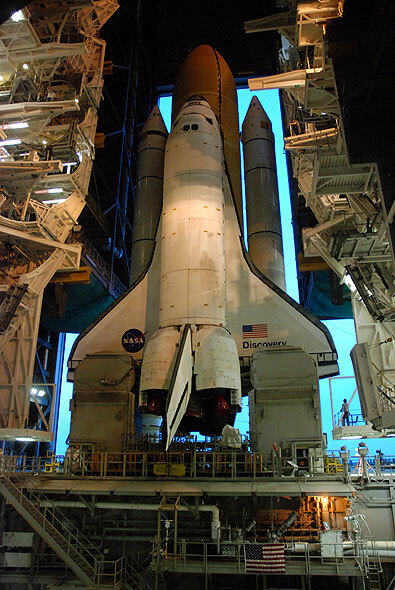 collectSPACE - news - "Space shuttle Discovery makes last trip to launch pad"
September 21, 2010 — Space shuttle Discovery departed on its last rollout to the launch pad Monday, six weeks before it is due to embark on its final mission. 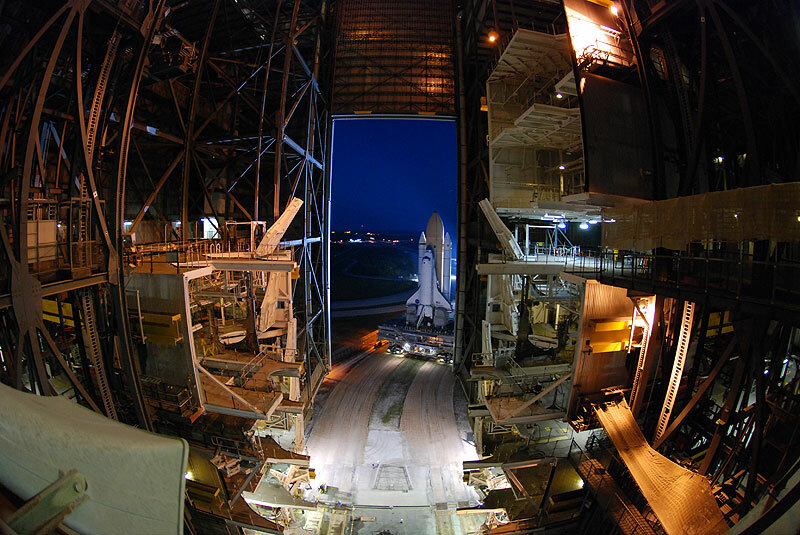 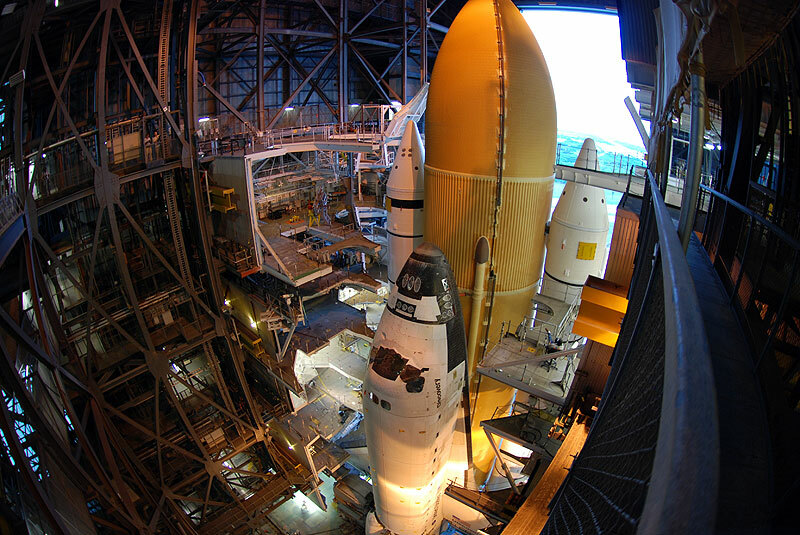 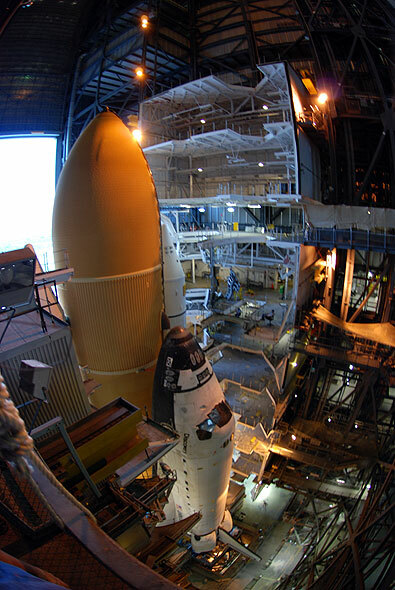 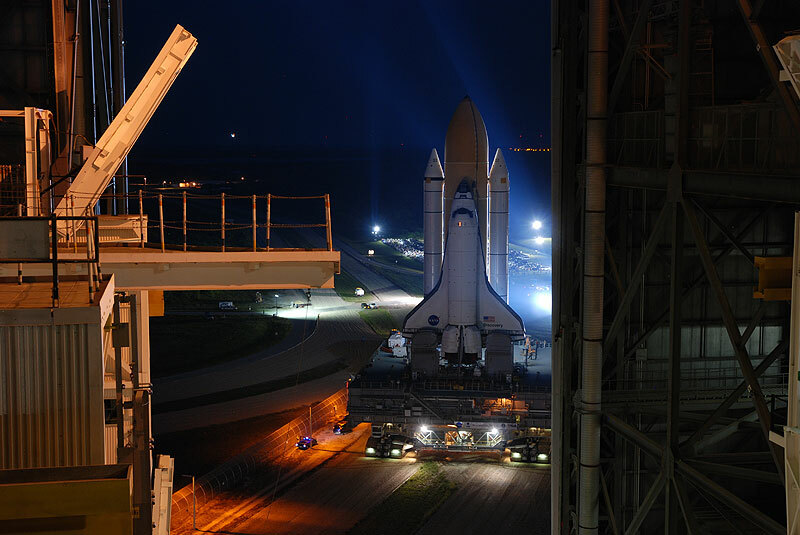 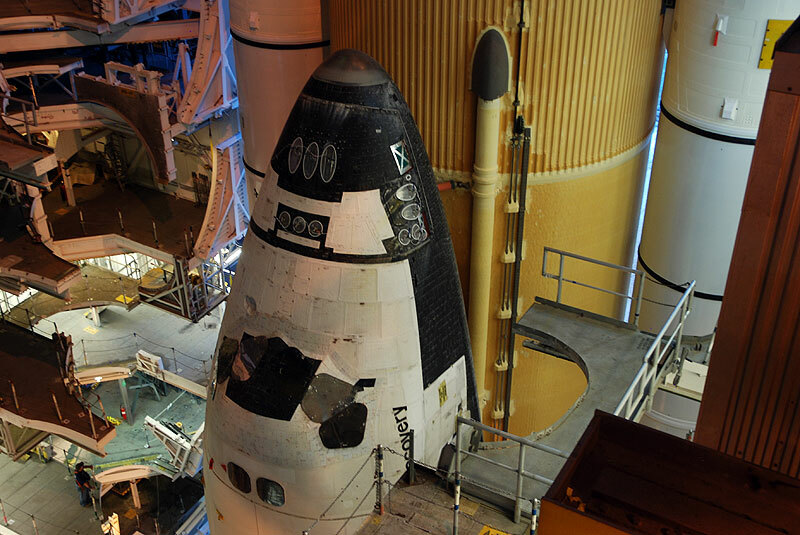 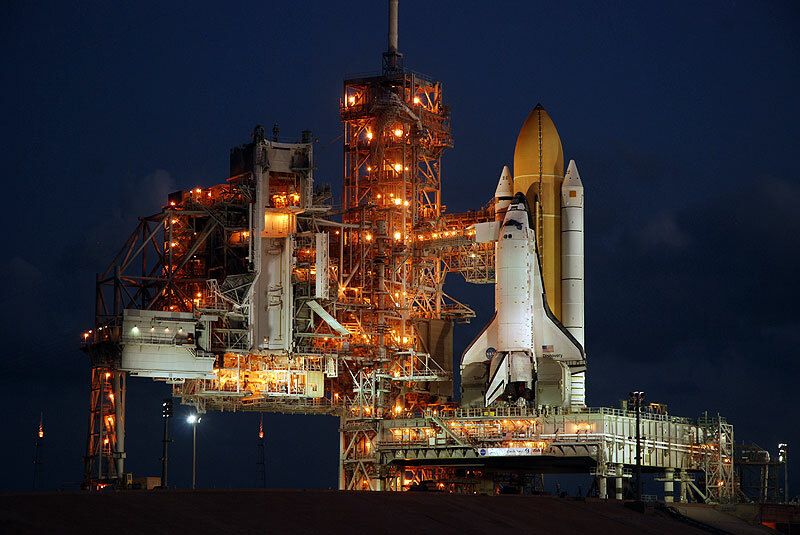 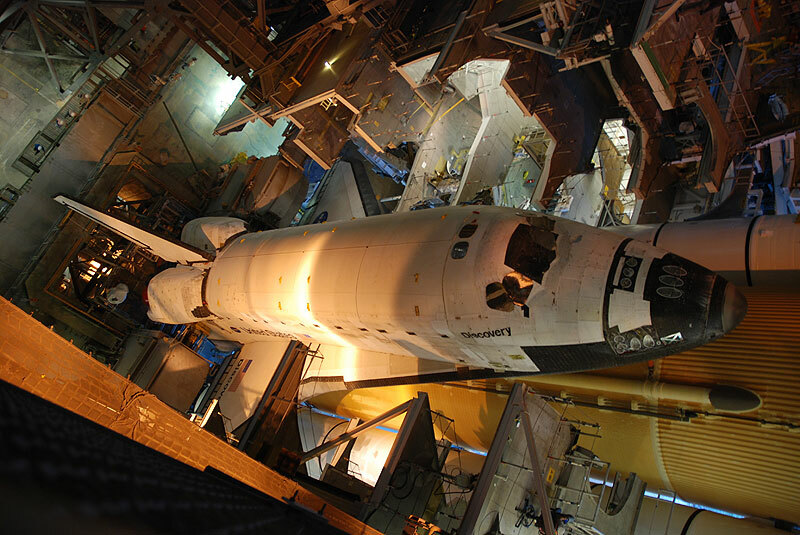 Discovery began the 3.4-mile journey from the Vehicle Assembly Building at 7:23 p.m. EDT. 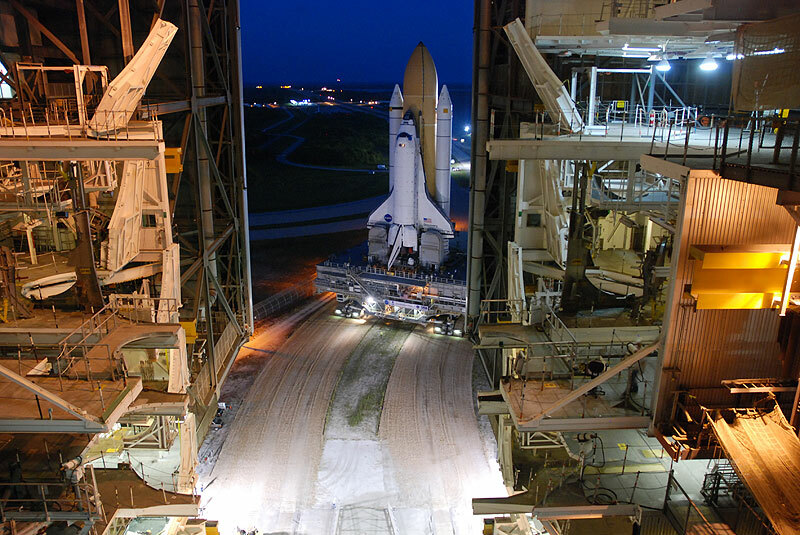 Riding atop a mobile launch platform and Apollo-era crawler transporter with an average speed of 1 mph, Discovery took about six hours to arrive at Pad 39A. 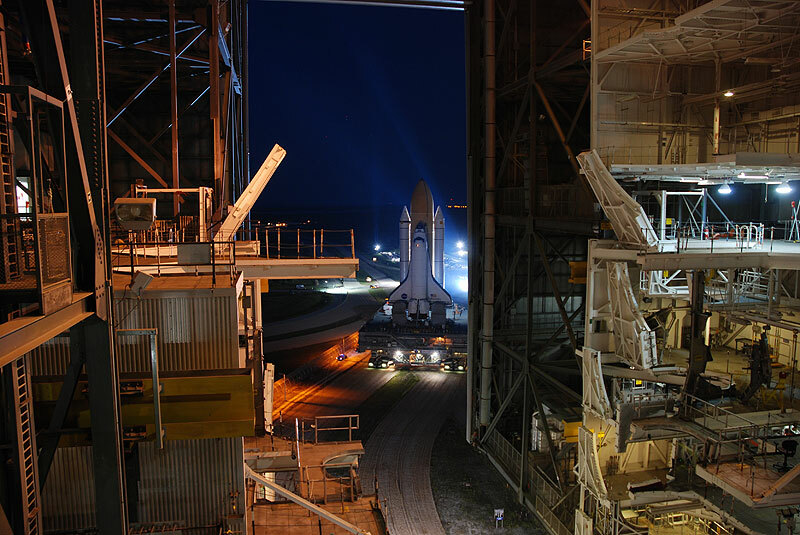 It was secured at the launch site by 1:49 a.m. EDT Tuesday. 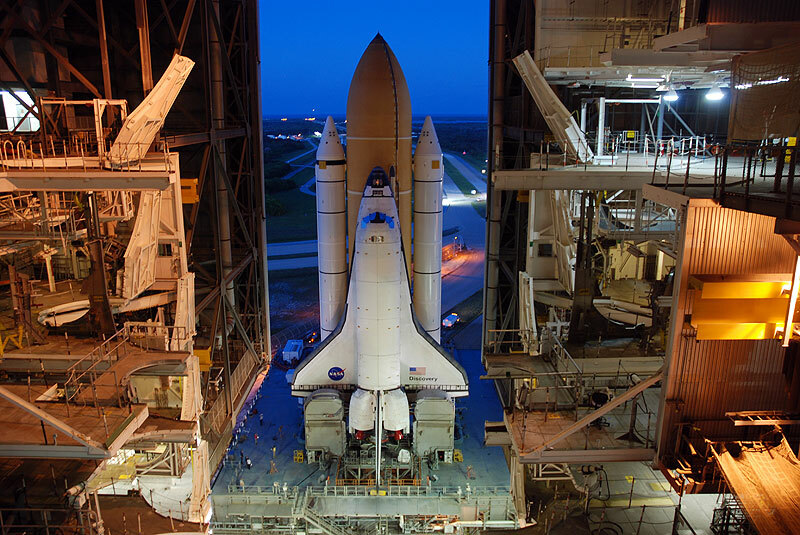 "We keep focused on this being the last one, but really the feeling is just pride of getting out there again and going through the process of doing that again. 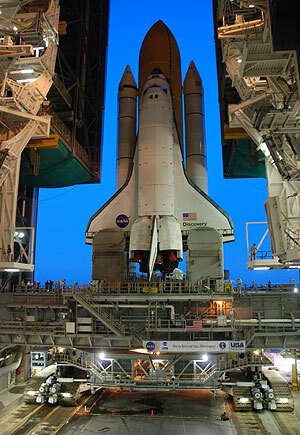 When I do think about it -- okay, this is the last one -- I do get a little bit sad, but I try not to think about that. 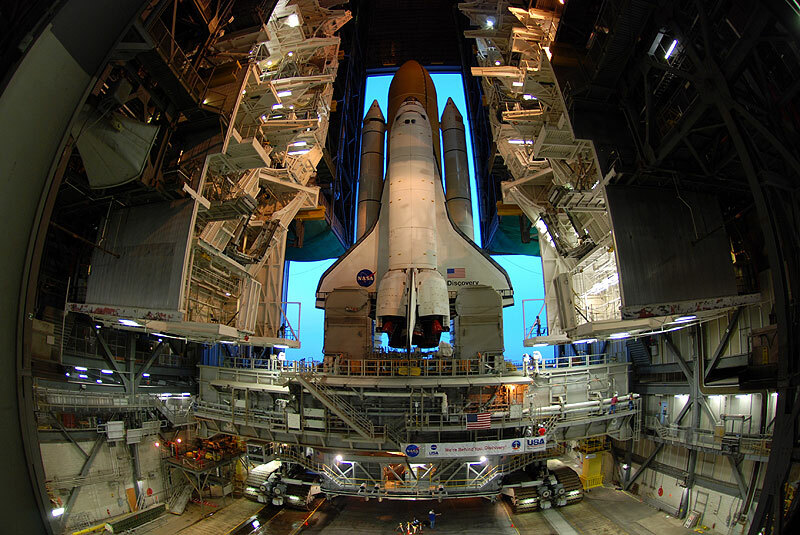 We have a lot of work to do, we've been very busy and we're just very focused on the job at hand," Discovery's flow manager Stephanie Stilson told collectSPACE. 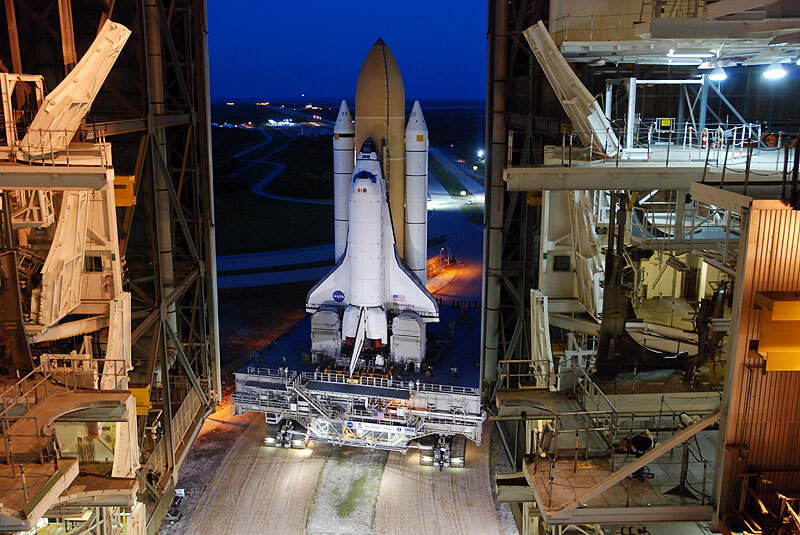 NASA sent out more than 700 invitations to shuttle workers so they could bring their families to watch Discovery's rollout from a viewing area located near the river rock-lined road that the treaded crawler followed to the pad. 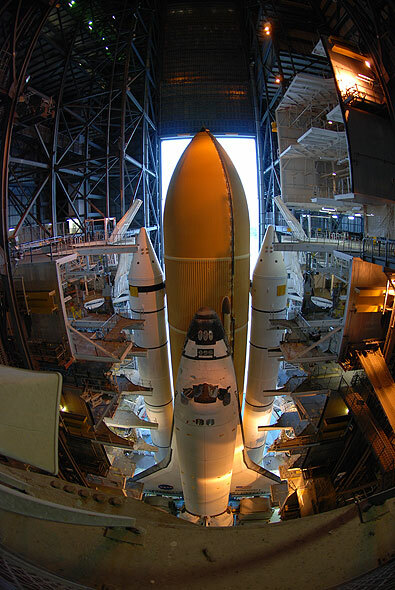 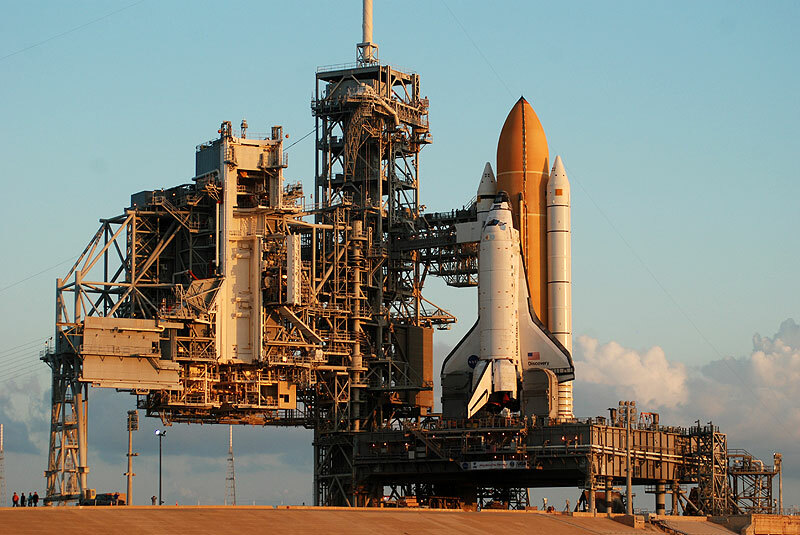 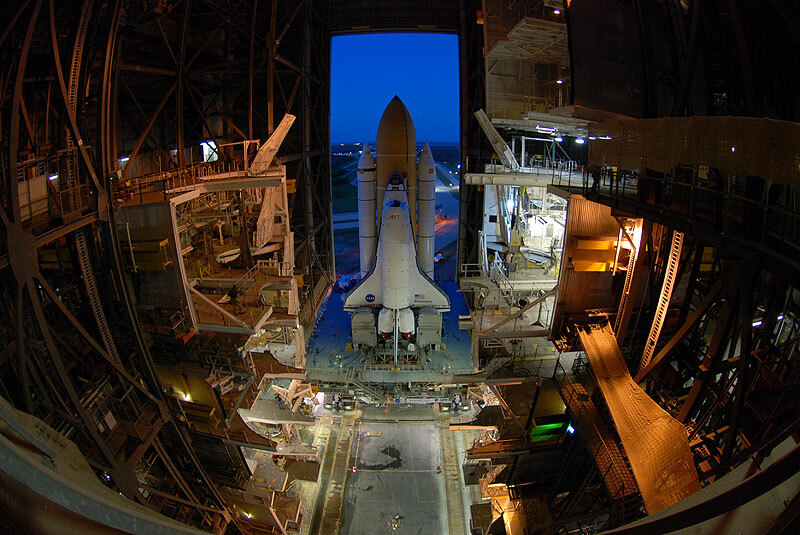 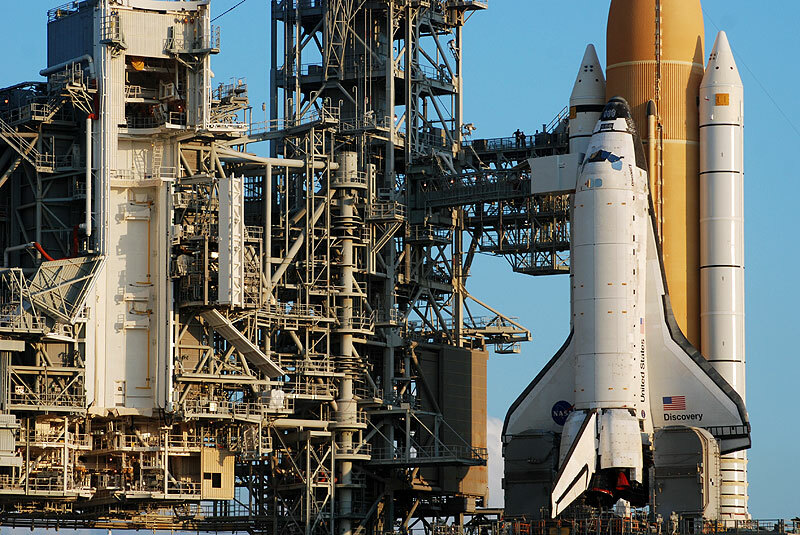 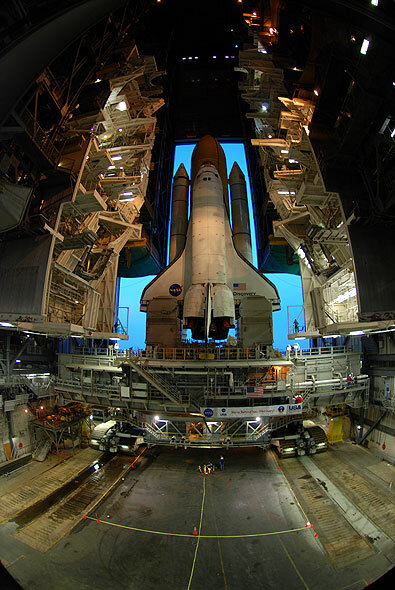 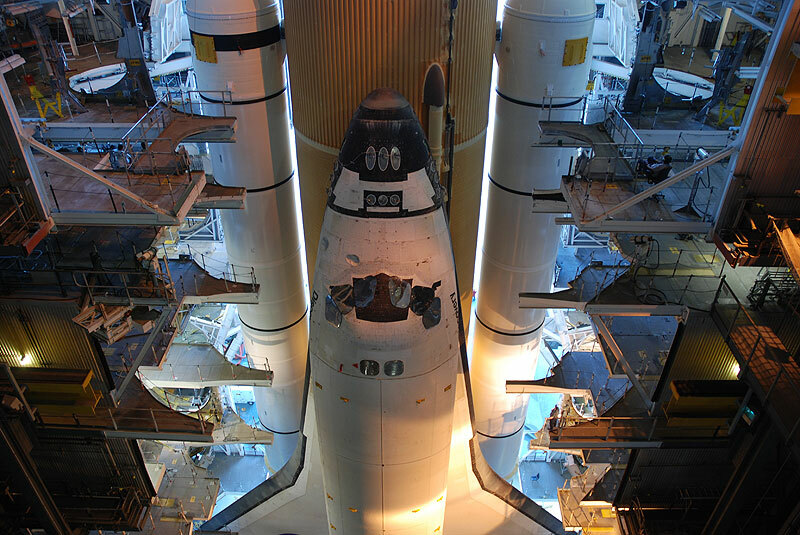 Discovery is scheduled to launch on NASA's second-to-last flight of its nearly 30 year space shuttle program on Nov. 1. 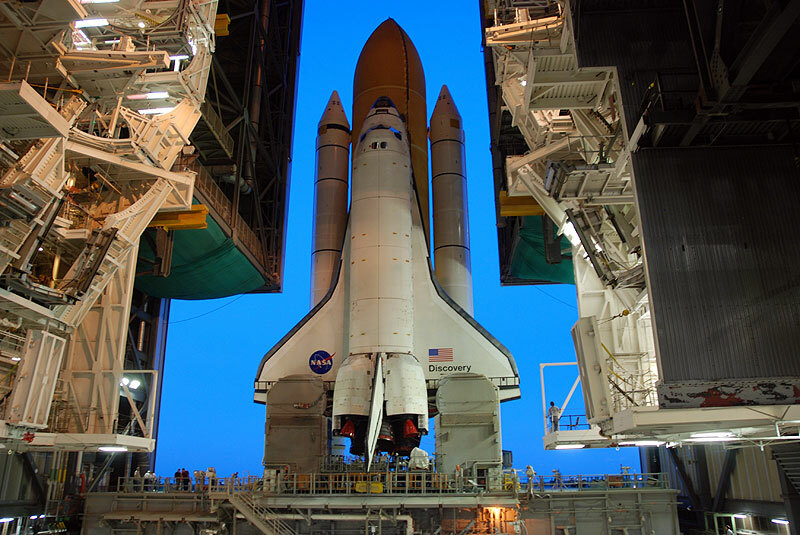 The mission will deliver a storage module to the International Space Station and Robonaut 2, a humanoid robot assistant for the outpost's astronaut crew. 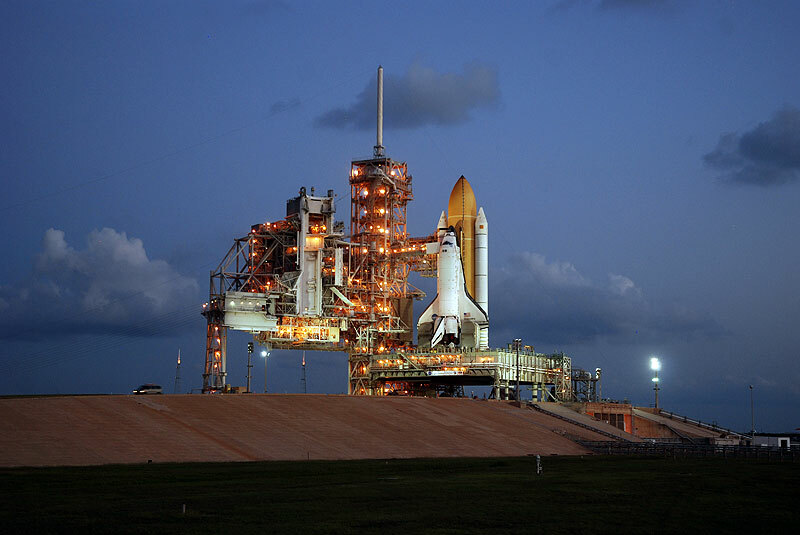 Discovery's STS-133 mission will be its 39th and last spaceflight, but the shuttle, also known as by its orbiter designation OV-103, has rolled out to the pad five more times than it has launched as a result of technical issues.